Prime Minister Narendra Modi on Sunday visited Raebareli, the traditional seat of the Gandhi family, for the first time and gave a green signal to projects worth Rs 1,100 crore. While speaking in the constituency of UPA chairperson Sonia Gandhi, the PM attacked the former UPA government for holding back development projects in the district, reports Zee News. 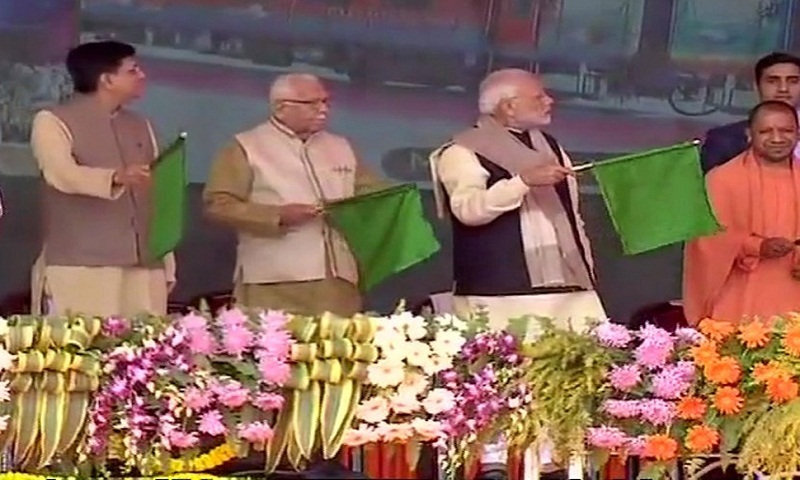 He also flagged off the 900th coach and a Humsafar Rake made by Modern Coach Factory in Raebareli. "The Centre and the UP government are fully devoted to the development of this region. The foundation stones of projects worth Rs 1100 crore have been laid today," he said.